Kill Devil Hills is the heart of the Outer Banks. 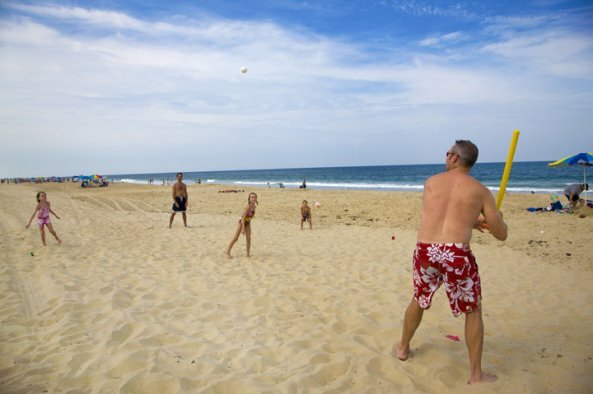 While vacationers may only be familiar with the hotels on the oceanfront, or French Fry Alley, locals know that it's so much more. Most of the restaurants are open year-round, because it has the largest number of year round residents, about 5800 people and more than twice that of Nags Head. We have grocery stores, schools and lots of beach accesses. Kill Devil Hills is a great place to consider when looking for a vacation rental or second home. In addition to the large rental homes, the oceanfront has many options for smaller homes and condos. First Flight Retreat is one of the newer condos, although Crystal Shores and others have been well kept and updated. 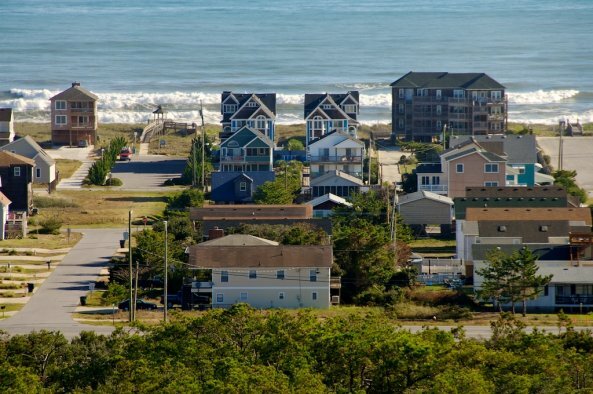 Just like Nags Head, there are some great deals to be found between the highways, from inexpensive condos with ocean views to classic beach cottages to newer homes just a short walk from the beach. Back roads that parallel the beach road make it easy to get around on bikes or on foot. 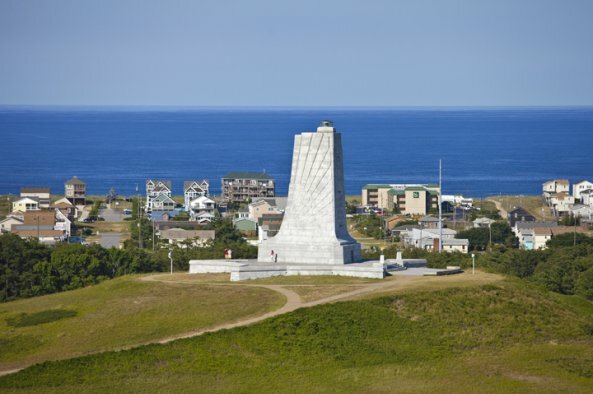 The Wright Brothers Memorial, Colington Road, and the First Flight schools are the geographic center of Kill Devil Hills. 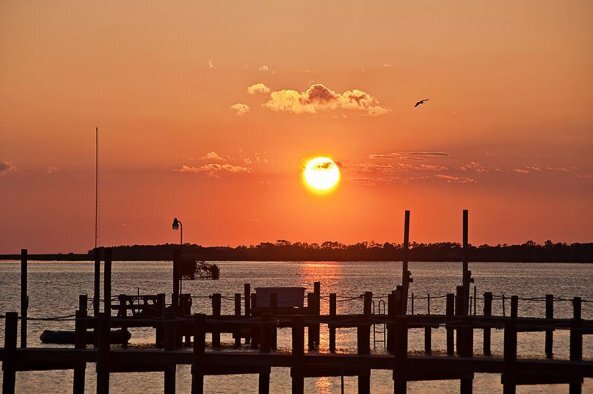 West side neighborhoods on the north side of the memorial are all connected by the glorious Bay Drive, a three-mile long road running along the shore of Kitty Hawk Bay. Homes range from well-appointed soundfronts to modest beach boxes built in the 80s. The oldest neighborhood is Avalon Beach, where many original flat top houses still remain. They have a private sound access, but there is a large public boat launch at Dock Street and a community gazebo at Hayman that are open to all. First Flight Village and the Landing are just north of the memorial and a popular choice for year round living. 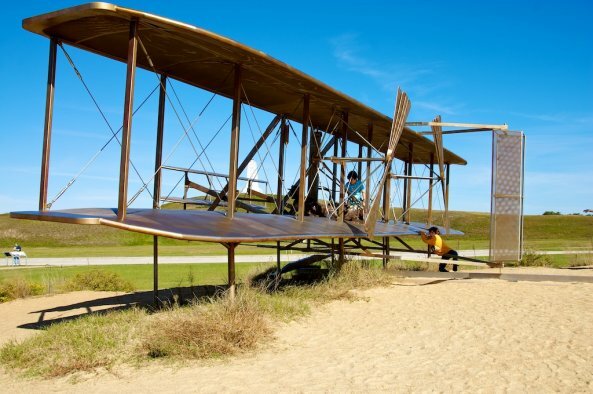 Aviation enthusiasts are certain to see all sorts of exciting aircraft flying overhead as they pay homage to the Wright Brothers. South of the First Flight schools is where French Fry Alley starts - yes the original Outer Banks McDonalds is here. But west of the bypass is another world entirely. Ocean Acres and Whispering Pines back up to the Nature Conservancy and Nags Head Woods maritime forest. Very popular with walkers and runners, Nags Head Woods Road is part of the Outer Banks Marathon course. In fact, you can walk all the way to Nags Head! Ocean Acres is also where the famous Christmas House can be found, featured on Good Morning America and graciously hosted every year by Mr. Poulos. See all of the Kill Devil Hills real estate for sale by browsing the many active Kill Devil Hills MLS listings below or use the search feature to narrow down the listings by property type, price, proximity to the ocean or MLS number. 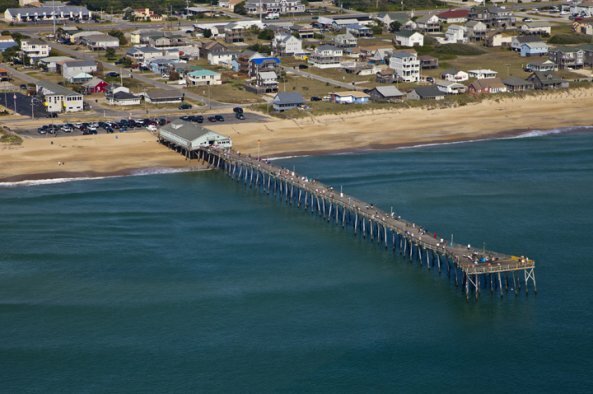 We also have an agent on duty from our Nags Head office to answer any questions you may have and get you started down the path towards ownership in Kill Devil Hills. Don't hesitate to contact us!